Almost 4 weeks ago we published the news about the discovery of a double statue of Amenhotep III beside Amon Re and the only standing Thot statue found so far. Now the new discovery is in the same area. 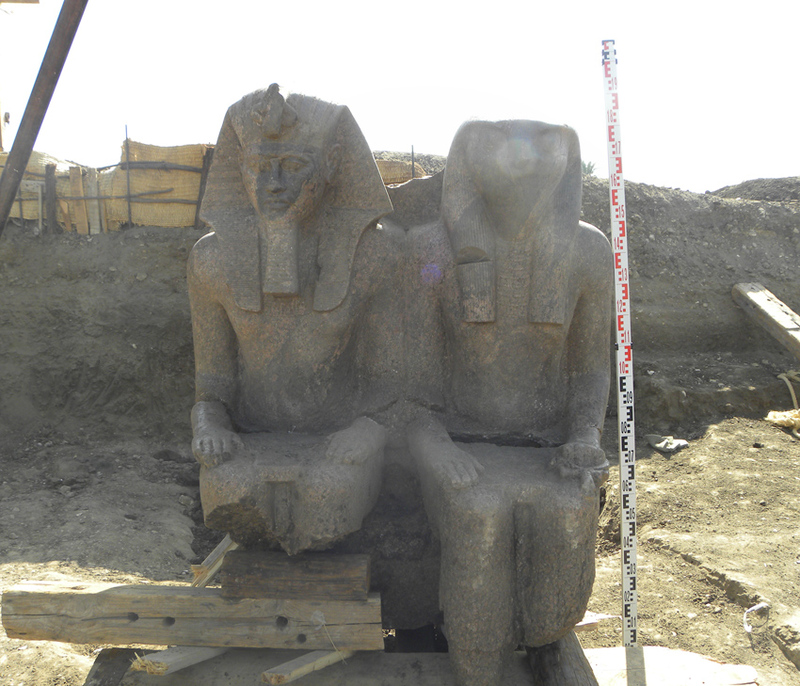 SCA mission working on the site known as Kom Hetan on west bank,Luxor has found the upper part of a double statue of red granite for Amenhotep III (1410-1372 B.C) in the north west of Amenhotep III temple site. The statue represents Amenhotep III next to Re Hor Akheti in a shape of a falcon or hawk. Amehotep III left behind many statues with different Ancient Egyptian gods like Amon Re,Mut,Bastet,Sobek and Sekhmet. The German mission who is working on Amenhotep III temple behind the statues of Memnons has found nearly 80 statues of Sekhmet as she was the goddess of healing and the King was sick for a while at the end of his reign.